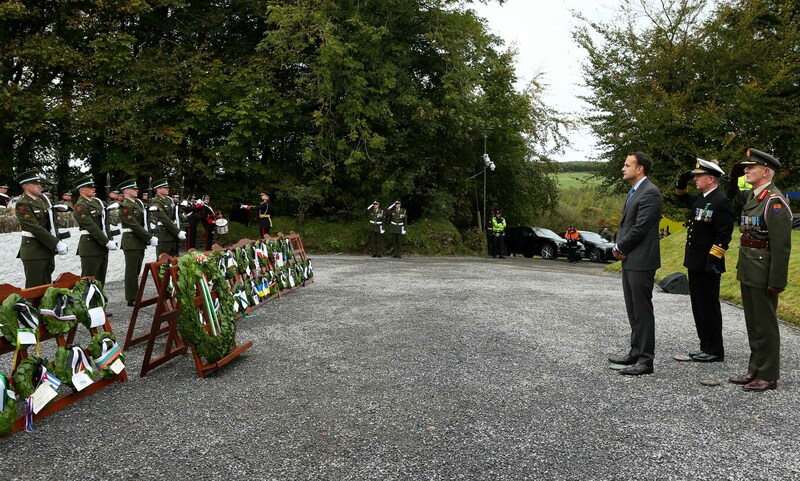 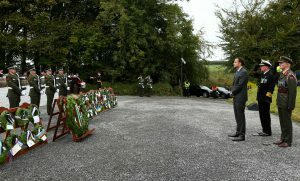 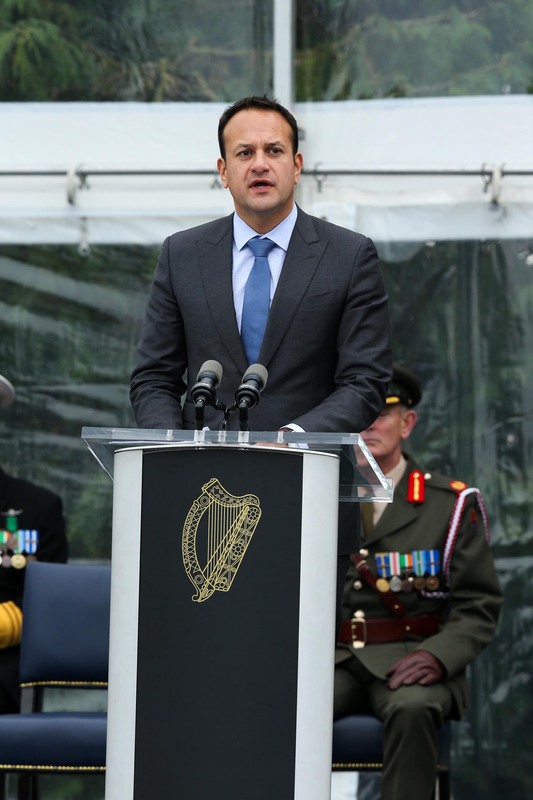 An Taoiseach Leo Varadkar officiated the National Famine Commemoration at the Famine Warhouse 1848 in Ballingarry Co. Tipperary. 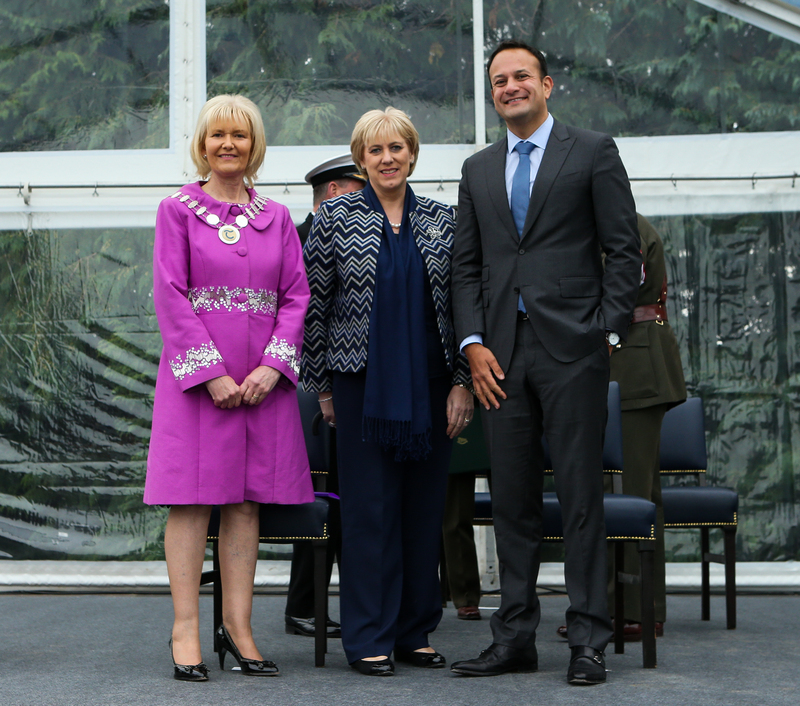 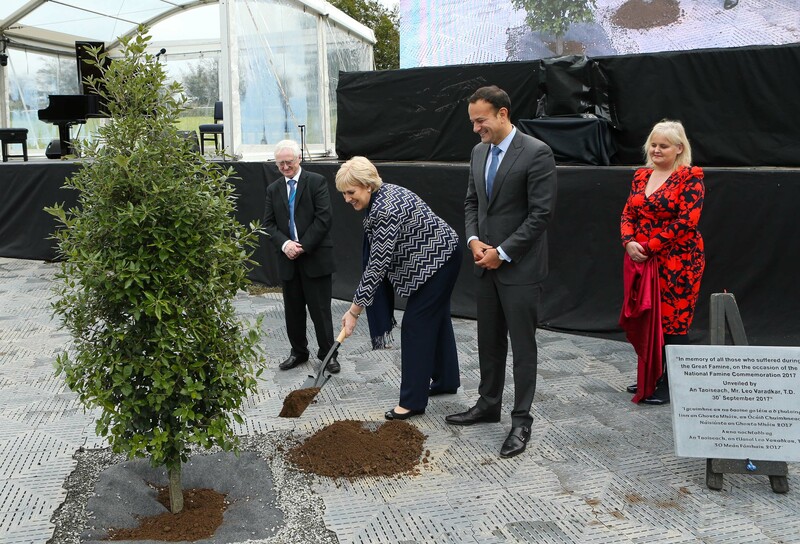 He was accompanied by the Minister for Culture, Heritage and the Gaeltacht, Heather Humphreys TD. 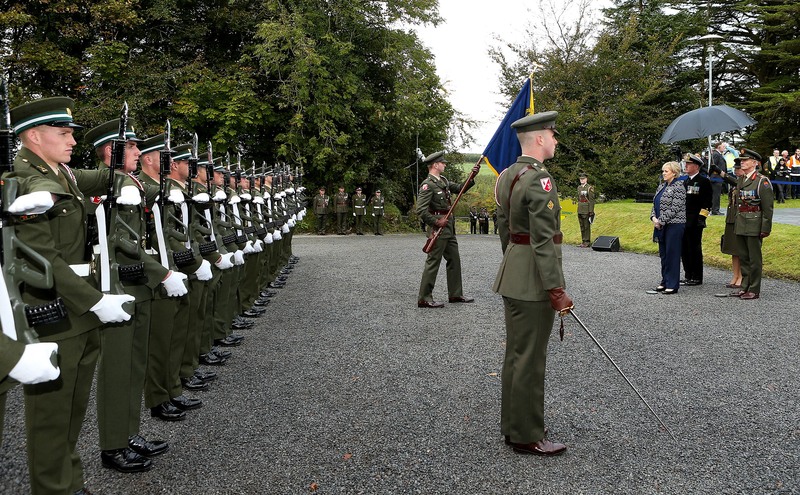 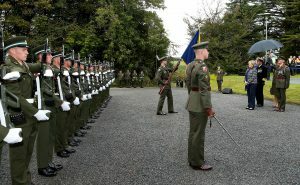 The formal State ceremony included military honours and a wreath laying ceremony by Ambassadors to Ireland in remembrance of all those who suffered or perished during the Famine. 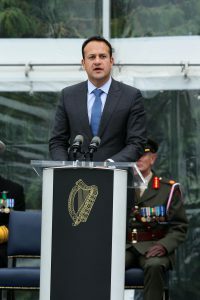 The community programme for this year’s event included performances by Mícheál Ó Súilleabháin, the Cecilian Choir of the Ursuline School, Thurles and Banna Cluain Meala as well as readings by poet Michael Coady, Carmel O’Brien and pupils from the Presentation Secondary School Ballingarry. 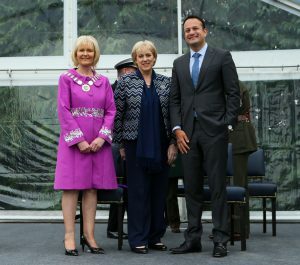 Local artists including Katy Goodhue and David Quin also produced new works as part of the supporting programme of events and these, together with over 200 artworks produced by children from local primary schools, were on display at the Commemoration.